The phrase “executive privilege” is a shorthand reference to the “qualified privilege” of the executive to decline to respond to a request for information–documents or testimony or both–from either of the other two branches of the federal government. 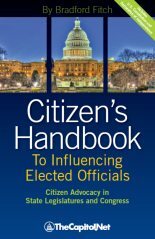 A unanimous circuit court opinion in 1997 distinguished between two different kinds of executive privilege—presidential communications privilege and deliberative process privilege–with different legal bases and different thresholds of need required to compel disclosure. 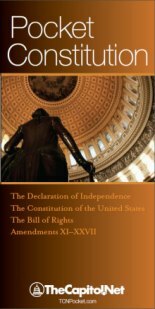 Presidential communications privilege is based in “the constitutional separation of powers principles and the President’s unique constitutional role.” (In re Sealed Case, 121 F.3d 729 at 745, 326 U.S.App.D.C. 276 (D.C. Cir. 1997).) This privilege allows the president to protect from disclosure the details of decision-making and deliberations with close advisors. Presidential communications are considered to be “presumptively privileged,” but the privilege is not absolute; it may be overcome by an adequate showing of need. The court indicated that “the privilege should apply only to communications authored or solicited and received by those members of an immediate White House adviser’s staff who have broad and significant responsibility for investigating and formulating the advice to be given the President on the particular matter to which the communications relate.” The privilege protects such communications where they involve government operations that require the president’s direct decision-making. The In re Sealed Case court limited the claim of such privilege to those advisors in close decisional proximity to the president. The court specified that “the privilege should not extend to staff outside the White House in executive branch agencies.” The reasoning of the court in In re Sealed Case was subsequently adopted in Judicial Watch v. Department of Justice, 365 F.3d 1108 (D.C. Cir. 2004). Presidential claims of executive privilege are unusual, and they are normally made by the president or at his direction. Such claims usually lead to negotiations between the White House and Congress. Deliberative process privilege is a common-law privilege and applies to executive officials generally. The threshold of need for overcoming this claim of privilege is lower than for overcoming a claim of presidential communications privilege. If a claim is made by a department or agency that does not involve the president and his assertion of the claim, the practice is for a requesting congressional committee to make a case-by-case evaluation of the claim. The department or agency and Congress normally negotiate over the requested material, and a congressional committee might begin drafting a congressional contempt citation to add leverage to its request. If negotiations between Congress and the executive fail, the parent chamber can adopt a contempt citation and even seek relief in the courts. 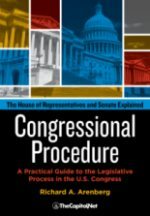 Alternatively, Congress may use other constitutional powers, such as its appropriations authority or the Senate’s confirmation power, as leverage in obtaining the needed information. Since the beginning of the federal government, Presidents have called upon executive branch officials to provide them with advice regarding matters of policy and administration. 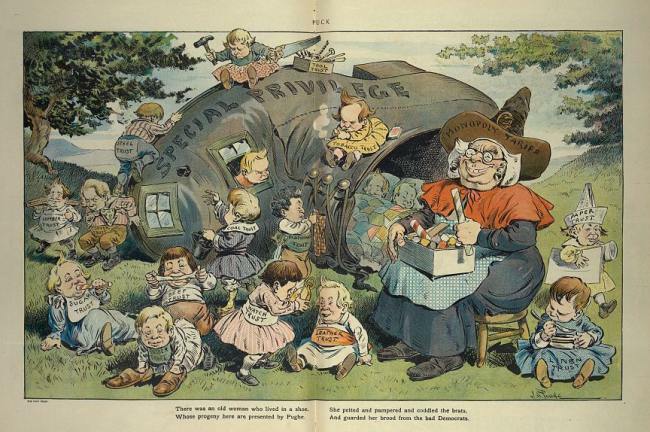 While Cabinet members were among the first to play such a role, the creation of the Executive Office of the President (EOP) in 1939 and the various agencies located within that structure resulted in a large increase in the number and variety of presidential advisers. All senior staff members of the White House Office and the leaders of the various EOP agencies and instrumentalities could be said to serve as advisers to the President. Occasionally, these executive branch officials playing a presidential advisory role have been called upon to testify before congressional committees and subcommittees. Sometimes, such invited appearances have been prompted by allegations of personal misconduct on the part of the official, but they have also included instances when accountability for policymaking and administrative or managerial actions have instigated the request for testimony. 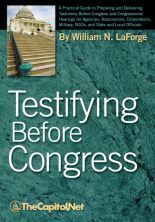 Because such appearances before congressional committees or subcommittees seemingly could result in demands for advice proffered to the President, or the disclosure–inadvertent or otherwise–of such advice, there has been resistance, from time to time, by the Chief Executive to allowing such testimony. Congress has a constitutionally rooted right of access to the information it needs to perform its Article I legislative and oversight functions. 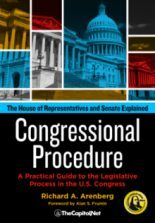 Generally, a congressional committee with jurisdiction over the subject matter, which is conducting an authorized investigation for legislative or oversight purposes, has a right to information held by the executive branch in the absence of either a valid claim of constitutional privilege by the executive or a statutory provision whereby Congress has limited its constitutional right to information. A congressional committee may request (informally or by a letter from the committee chair, perhaps co-signed by the ranking member) or demand (pursuant to subpoena) the testimony of a presidential adviser. However, Congress may encounter legal and political problems in attempting to enforce a subpoena to a presidential adviser. 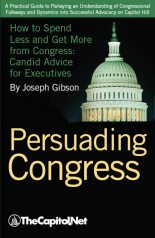 Conflicts concerning congressional requests or demands for executive branch testimony or documents often involve extensive negotiations and may be resolved by some form of compromise as to, inter alia, the scope of the testimony or information to be provided to Congress. Also see Agency / Department (CongressionalGlossary.com); Appropriation; Contempt of Congress; Executive Branch; Oversight / Oversight Committee; President of the United States; Ranking Member; § 8.72 Executive Privilege, in Congressional Deskbook.